Lampson, a world leader in heavy lift cranes, have recently carried out an upgrade to Norwegian engineering, procurement and construction specialist Kvaerner Verdal’s LTL 1500 S3. As part of the upgrade RaycoWylie have had the pleasure to work alongside Lampson to install a new rated capacity indicator (RCI) to the machine. RaycoWylie designed and supplied a bespoke software and hardware set for the LTL1500 S3 crane. A RaycoWylie’s i4507 system was installed, utilizing a seven inch colour display, integrated wind speed indication and bespoke load sensors. The new system will provide the operator with clear and accurate information regarding the actual lifted load, actual load radius and the corresponding safe working load – alerting the operator to approaching limits and potential overload situations. Additional information, such as current wind speed, graphical indication of the percentage of Safe Working Load being lifted, current crane configuration and visual warnings are also displayed on the i4507 operating screen. 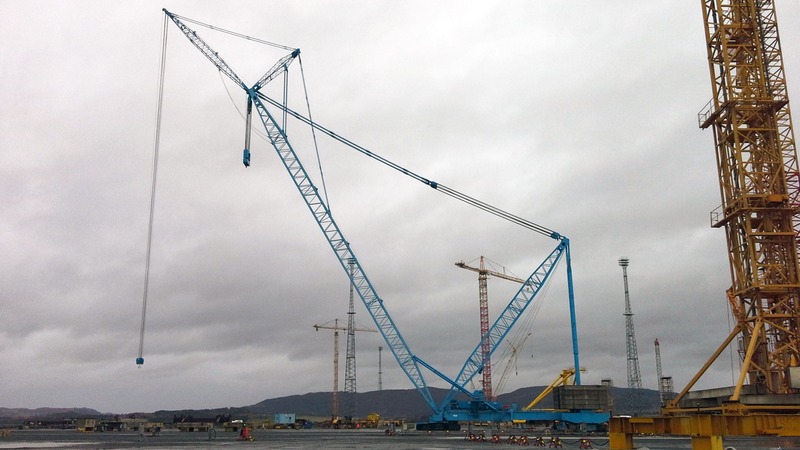 The Crane upgrade and system installation were carried out by Lampson on site in Verdal, Norway. A RaycoWylie engineer from the UK attended site for the calibration and testing of the system as well as the i4507 product training for the Kvaerner staff.